Cults are an American indie-pop band hailing from Manhattan, New York. Formed in 2010, the group consists of just singer Madeline Follin and guitarist/percussionist Brian Oblivion, though they play live with a six-piece backing band. Their eponymous debut album earned them scores of good reviews and fans alike, as well as some high profile gigs and appearances too. They followed it up with ‘Static’ in 2013, a record which saw them reaching new heights - and arranging a load of new shows too. They return in 2017 with a brand new album, 'Offering', in October, and will support this with a brace of shows in Manchester and London in January 2018. Catch Cults live by checking out the tour dates and concert ticket information below on Stereoboard. Oops, Cults doesn't currently have any events scheduled. Get an ALERT when new shows are announced near you! We don't know of any Cults tour dates, events or tickets at the current time. If you'd like to be kept informed when new Cults shows are announced, please set up a tour alert above or you can sign up for our FREE tour newsletter here. They return in 2017 with a brand new album, 'Offering', in October, and will support this with a brace of shows in Manchester and London in January 2018. 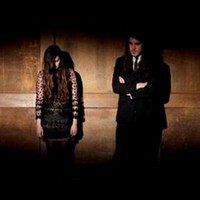 Catch Cults live by checking out the tour dates and concert ticket information here on Stereoboard. Cults have released a new video. Photo: Shawn Brackbill Cults have released a new track, I Got Your Message. Photo: Shawn Brackbill Cults will play a brace of UK shows at the start of next year. Photo: Shawn Brackbill Cults have shared a new single. Photo: Shawn Brackbill Cults have unveiled a video for their latest single, I Took Your Picture.